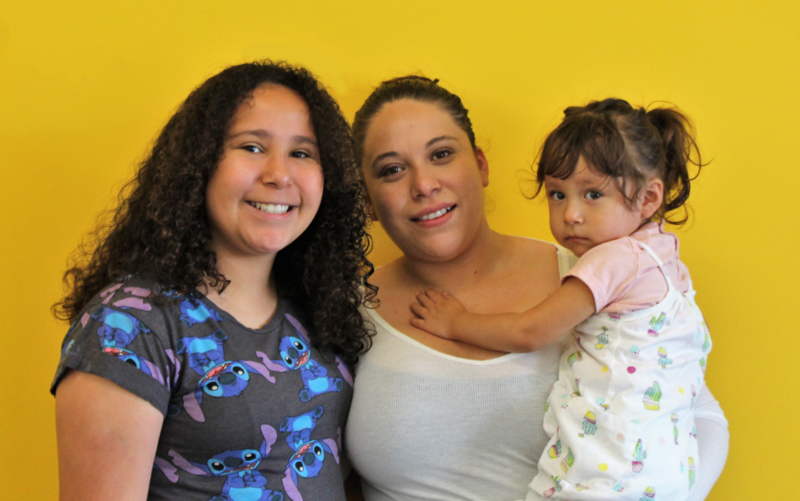 At ACE Charter Schools, our parents are one of the most important parts of our community. We know that our families want the best for their kids, but often, they just don’t have the right tools. Especially for students with Special Needs, many times ACE is our parents’ last hope in helping their child. This was the case for ACE Parent Maria Echeverria from ACE Empower Academy. In the below story, she describes her tumultuous journey towards finding the right school for her child, who was diagnosed with ADHD. I was born in Jalisco, Guadalajara and my father was a migrant worker. I came to the United States in 11th grade. It was a huge culture shock, I didn’t know any English, so it was hard. I met my husband and eventually became pregnant with my daughter Tiffany during my senior year of high school. I graduated high school, but I didn’t know anything about college. I remember one time my counselor said, “You should go to college.” But I didn’t know where to start. How do I qualify? How do I apply? I definitely wanted more for my daughter. But, things were tough with her schooling for a long time. I put her into preschool, because I was always told the younger a student starts the better. Things were okay, but in 2nd grade I noticed things were getting hard for her. She wasn’t growing, and she wasn’t having a lot of success. Tiffany was diagnosed with ADHD, and the school didn’t have the tools to help her. In 4th grade, her teacher just gave up on her. They used to have her separate from all of the other kids, because they told me that Tiffany just distracted everyone, and did not pay attention. The summer after 4th grade, I moved her to another school. She went to their summer program, and she came back crying. She was in a class with kids with severe issues. Kids were screaming. She was afraid. But, that is what they told me that she needed. Because she had an IEP that was the best they could do for her. It broke my heart. Then one day I was shopping at Mi Pueblo supermarket, and I found Martha. She told me about ACE, that they helped struggling students, and it sounded like a dream. I was embarrassed to ask her if they take kids with IEPs and she said, of course! Every other school I had talked to said they did not take kids with IEPs. At first, I was nervous. It was a small school. And they talked about college. And because of what we had been through, I wasn’t sure if that was too far out of reach. And at the beginning, there were struggles and adjustments. Things don’t change overnight. But after a few months, Tiffany was growing. She was reading, and she was doing math! Now Tiffany has a lot of friends and is much more social. At one point when things were bad, my husband and I thought to ourselves, what will her job be? Should she just work instead of going to school? Is she just going to work in farming like us? Now that she’s been at ACE, I see a different path for her. Now I see her in a university. Hello, I feel you pain is been the same with my son was exactly like your daughter his going to start HS next year at ACE. Hopefully works for him. I got teary eyes just reading your story, is been so hard for me as a single mom trying to help my son. Specially a social worker and a counselor from his elementary school told me that he won’t be able to go to college. His a Sunrise Middle School and doing a lot better.